Microsoft are implementing some changes to how capacity is allocated within the Common Data Service, the underlying data store that drives many of the apps that make up Dynamics 365. When signing up to Dynamics 365 for Customer Engagement currently, for example, your tenant by default is allotted 10GB of storage which is used up when storing anything in any of your Dynamics 365 for Customer Engagement instances. In future, storage will be split into 3 categories: Database, Files and Logs and by default you will be allotted 10GB, 20GB and 2GB respectively to be shared across your instances. The data contained within your Dynamics 365 app, such as your Accounts, Contacts, Opportunities, Cases etc will count towards your database capacity, files stored as attachments against entities such as Emails and Notes will count towards your file capacity, and log data such as auditing and system logs will count towards your log capacity. The way additional storage is earned is also changing, where currently 5GB is accrued for every 20 full user licenses, additional storage will now be accrued for every full license at a rate of 250MB of database storage and 2GB of file storage per user. These changes may be very welcome for anyone struggling with data caps, especially those currently storing file attachments in their Dynamics 365 Apps, however, the changes don’t come without a little sting in the tail. Alongside the changes to the default storage, there also comes a change to the pricing of any additional capacity you may need above the default allocation. Additional storage which currently costs $5 per GB per month, is also subject to the new categorisation. An additional GB of Database storage will soon cost you $40 per month, a hefty increase if you are a data heavy organisation. 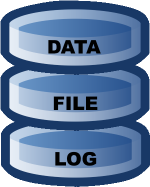 For a GB of File storage you will need to pay $2 per month, and for Log storage $10 per GB per month. Microsoft are softening the blow, however, by removing the costs associated with additional production and non-production instances (previously $550 and $150 respectively). 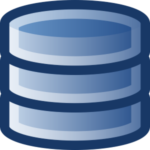 As long as you have at least 1GB of database capacity available you will be able to create a new instance for free, giving you a theoretical 10 instances with the default database capacity. So when are these changes happening? From April 1st 2019, any new subscriptions will utilise the new model and existing subscribers will have the choice to renew against the existing model or adopt the new model up until the end of 2019 but will not be able to mix options. From the beginning of 2020 renewals and new subscriptions will utilise the new model. In order to help customers evaluate their current and future storage requirements, Microsoft are adding a new capacity report to the Power Platform Admin Centre, which will provide a breakdown of current capacity based on the new model as well as capacity trends over time.